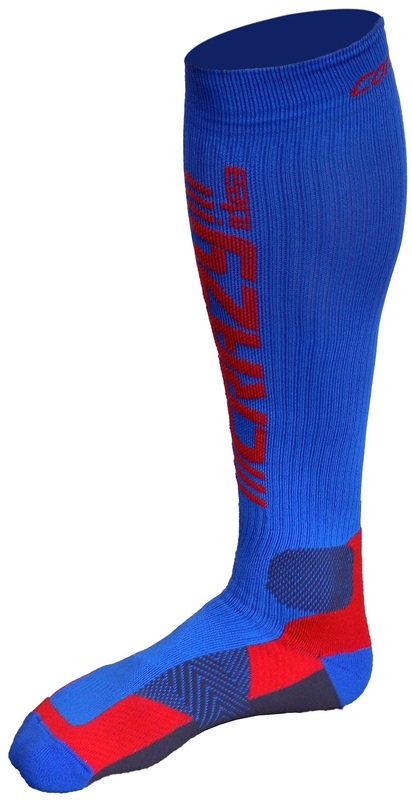 As maybe the only socks designed for ski mountaineering, the Crazy Compression socks are a treat to ski and climb with. Labeled for left and right feet, the perfectly formed leg tubes are zoned to provide protection from blisters when skinning. 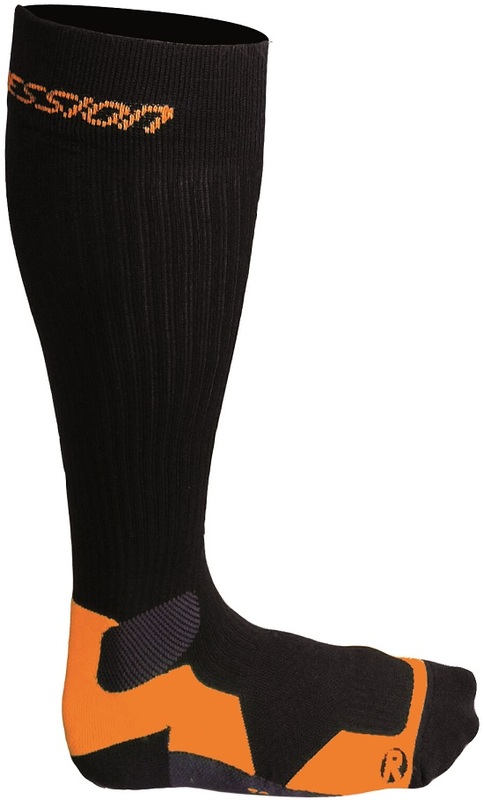 The compression weave is designed to stimulate blood circulation which can help keep your toes warm. It also purportedly reduces the formation of lactic acid. With ankle bone and arch support areas, the thin socks are the perfect companion for long days in ski boots. We’re glad someone had the Crazy Idea to make skimo socks. What are these made from? Wool? Acyrlic? Hey Eric! Good question! It's 80% Dryarn, 11% Lycra, and 9% Polyamide, which equals 100% of an awesome sock!